America has really gone off the deep end with its attack on Christianity and nowhere is this more obvious than in the Entertainment industry and the mainstream media. Nobody demonizes Christianity more than those two industries. And CBS just embarrassed itself by doing this anti-Christian thing after the Final Four on Saturday. The Final Four matchups between Texas Tech and Michigan State, University of Virginia and Auburn, did not disappoint. They were nothing short of barnburners. The last seconds of the UVA and Auburn game was filled with controversy and drama. First, there was a missed double dribble call when UVA forward Ty Jerome was taking the ball up the court, sloppily bounced the ball behind his back when it deflected off his shoe – and then he picked the ball up and kept dribbling. That could’ve effectively ended the game right then because Auburn was up by two with only 5.4 seconds left. On the next possession, with only 1.5 seconds left, still down by two, UVA guard Kyle Guy was fouled on a three point attempt. He needs two free throws to tie and three to win. He sank all three in what was maybe one of the most adrenaline-infused edge-of-your-seat sports moments of the year. Minutes later, Texas Tech took the floor to take on Tom Izzo’s Michigan State Spartans. 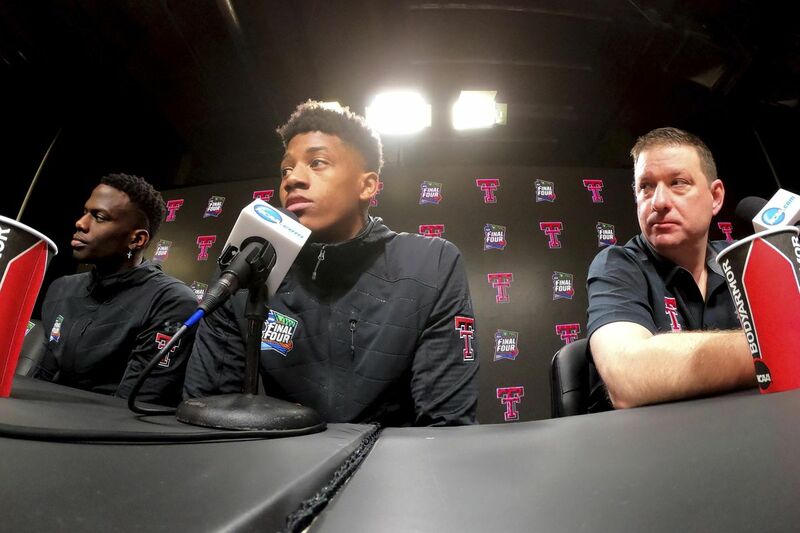 Izzo might be one of the most celebrated basketball coaches when you consider that he’s been to the Final Four the most since his tenure, setting the record at eight appearances, but that didn’t seem to intimidate Texas Tech. Texas Tech showed out and won the game. After the game, the team was celebrating in the locker room when CBS did something that was so painfully obviously anti-Christian. The moment the coach entered the locker room, he led the players in a group prayer, a seemingly harmless moment to be grateful to God for the opportunity and the win. Suddenly, CBS cut back to the announcers instead of broadcasting it in a moment that was so obviously anti-Christian. The worst part is CBS cut back to the locker room as soon as they were finished with the prayer. Were they worried about offending their audience? Do atheists or any other religious groups get offended over something like that? The irony is that the Twitterverse was even more annoyed that they cut away from it so if CBS’ goal was to not offend its audience, they failed miserably. Since when did Christianity become controversial in America? Somehow it’s become a faux pas to broadcast any sort of prayer. You might not see this after NFL games but after the coaches and players do their handshakes in the middle of the field postgame, many players from both teams gather at center field to pray with each other. How many times have you seen that on television? It’s likely that the only way you’d know that is if you attended a game in person and waited around to see it afterwards. It’s such a disgrace and it speaks volumes about how the powers that be at these big networks really feel about Christianity.